Premium, export quality super chop hay combined with top grade GMO free soy oil. 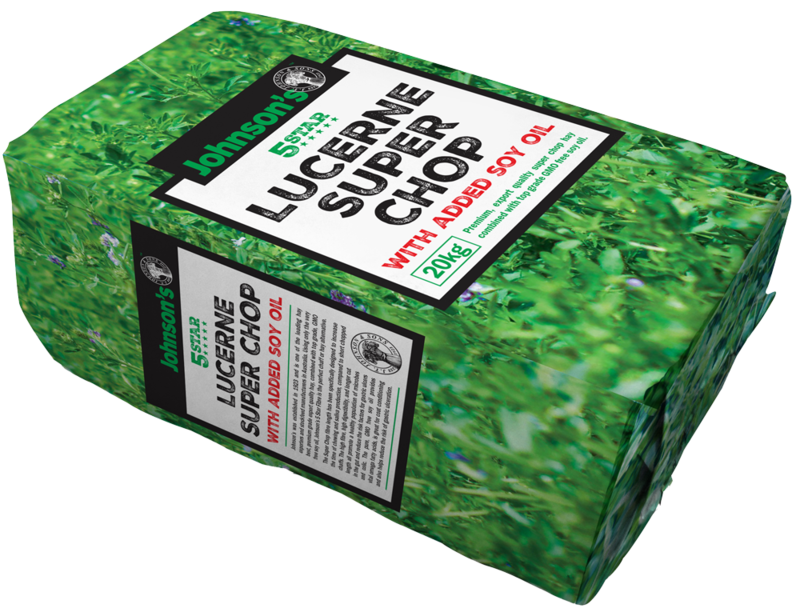 The Super Chop fibre length has been specifically designed to increase the time of chewing and saliva production, compared to short chopped chaffs. The high fibre, high digestibility, and longer cut length all promote a healthy population of microbes in the gut and reduce the risk factors for gastric ulcers and colic. The pure, GMO free soy oil provides vital omega fatty acids, is great for coat conditioning and also helps reduce the risk of gastric ulceration.